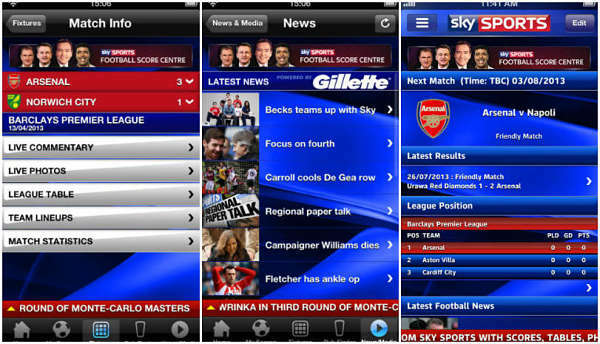 Looking for the best football apps to watch live online or get live scores on your iOS devices? 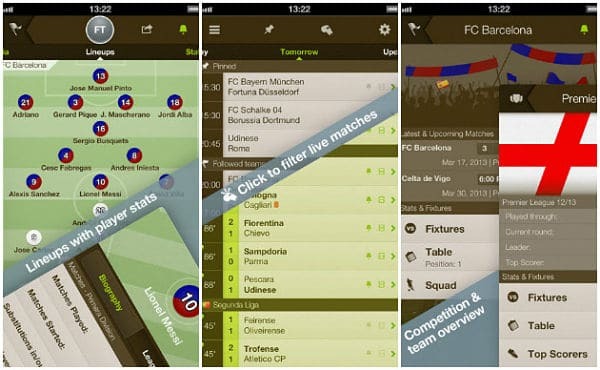 These are the best football apps for your iPhone device to stay tuned to football matches. One of the most exciting football leagues, Barclays English Premier League has begun. 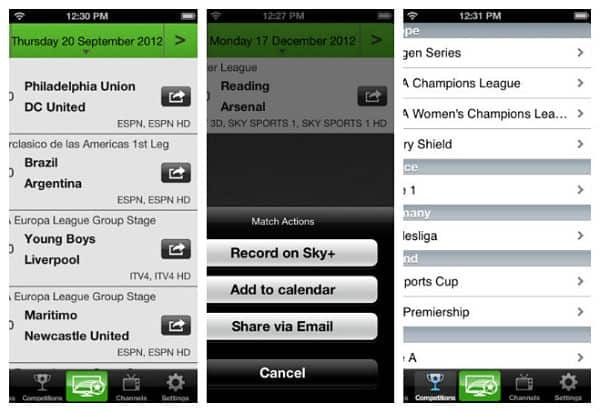 If suddenly you will not be able to see the live broadcast of matches with friends and families, you will be able to watch football with your iPhone with these applications. 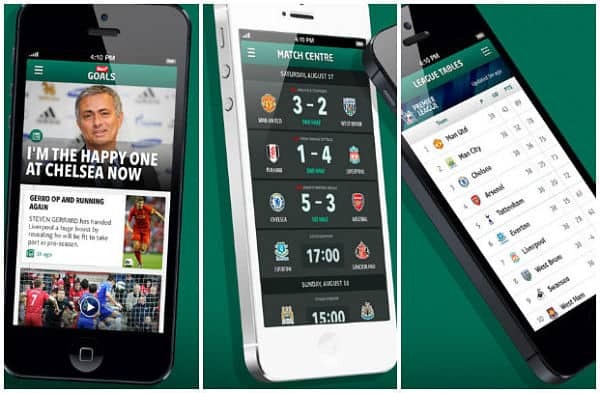 And if you’re a true fan of English Premier League, prior to the event we offer you to download the best free apps for iPhone to watch English Premier League. ESPN offers more than one application for the entire football coverage. From video clips of every goal in the first league to the news, results and league tables worldwide. One of the best soccer apps to keep up with all the latest results with the application of sports official Sky Live Football Score Centre. Feature included are: Live scores, live text commentary and league tables, results, live Match stats, player profiles, live match photos and more information about the games. In this app you can choose those teams you want to follow and what notifications you receive. With many details Live Score Addicts is a great tool to keep in touch with the game when you can not be close to the TV. 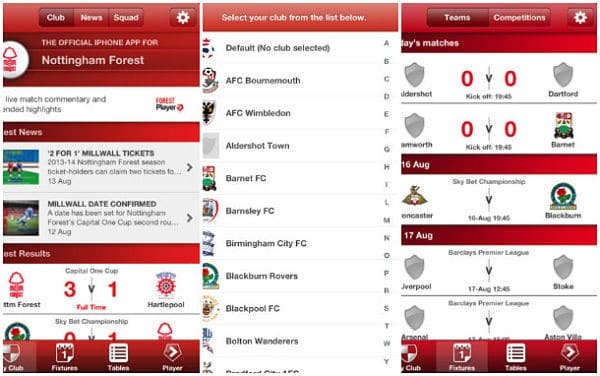 The basic version of this application covers most of the clubs in the football league worldwide. Provides news, notes, player profiles and more information about the games. With the subscription version you can access the best videos, interviews, maps and more stages. Live Football on TV is dedicated to providing the most current, complete and accurate live football on TV in the UK lists. Application provides match schedules of all major UK broadcasters and TV includes all games – whether national, continental European, leagues reserve, youth competitions, women’s football. 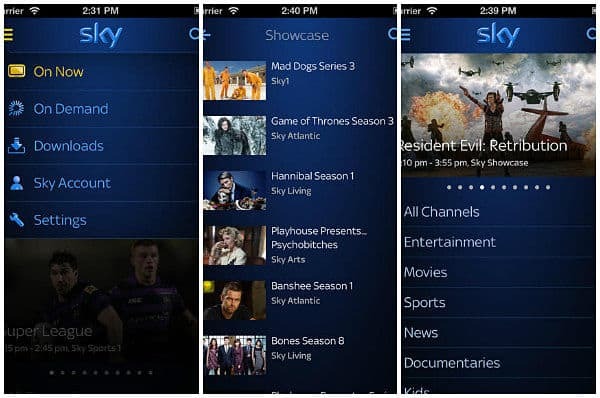 The app Sky Go lets you watch the sports channel of your choice. The app works via Wi-Fi or 3G connection. You only need to open the application. Register and create a user name and password and ready to enjoy all football and sports you want. Sun+ Goals for iPhone, iPad football App lets you watch Barclays Premier League goals and extended clips, up-to-the-minute breaking football news, videos, fun features, commentary and highlight packages. 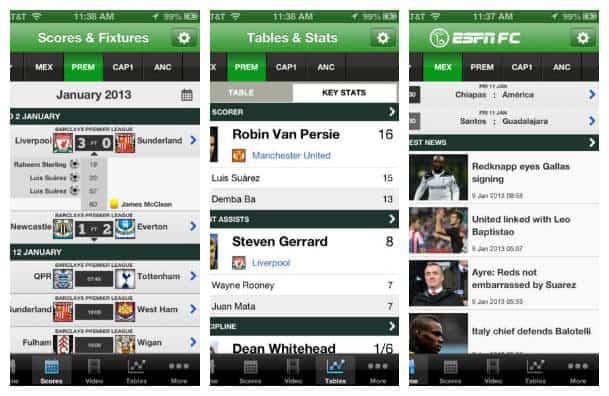 These are the best iPhone and iPad apps in our review especially for Barclays English Premier League 2013. Please let us know if you choose any other apps.